Home Apps & Software How to download and install Google Earth Safely? Google Earth is a program that provides a 3D-representation of Earth founded on satellite imagery. Google Earth is a program that provides a 3D-representation of Earth founded on satellite imagery. This computer program records the Earth by overlapping satellite images, GIS data, and aerial photography onto a 3D globe, which makes the users view landscapes and cities from different angles. The users can discover the globe by providing addresses and organizing, or use a mouse or keyboard. The Google Earth can also be downloaded on tablet or Smartphone, using a stylus or touch screen to navigate. The program users may use it to include their own data using KML (Keyhole Markup Language) and it allows them to upload through different sources like blogs or forums. Google Earth is able to explain different types of images superimposed on the earth surface and is also a WMS (Web Map Service) client. Google Earth computer program allows you to Google around with its free application. It is a wonderful 3D interactive Earth. It is a vibrant map that takes you on a field trip to anywhere and everywhere in the world. It gives you the feeling of an F-16 flight simulator and outer space visitors to the Mars and Moon, and it is like a space telescope, it is everything that you can imagine. If you have Google Earth downloaded and installed on your computer, the make sure to update it to the latest version before 9 weeks. For Windows Users: To install Google Earth program for Windows. Once you press the Google Earth Download page, it will automatically find your OS, so you don’t need to think about selecting certain version. When you get a screen asking to choose the Google’s Chrome, then un-check the option, and also don’t choose the help us enhance this software, and press, agree and download button. Once the downloading is done, now select the installer. The computer gives you a security warning and it will then give you the option to run & save the file. Now, click the run button. Press the run button again if you get another security warning while installing the Google Earth. Once the installation is done, close if you have any open programs, now you can see a small Google Earth icon on your desktop. That’s all! Your Google Earth installation is complete. 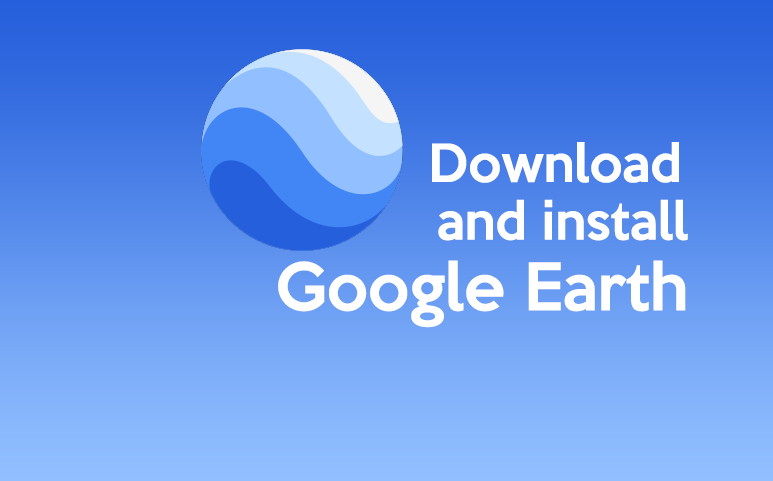 Installing Google Earth for Mac, just go to the download page and click the button. It will automatically find the OS, so you don’t need to choose any particular version. Press, agree and download button, and then the browser will show a Thank You page, and the Google Earth downloads the program automatically in the background. The Downloads window will show the progress of your download. Once the download is complete, an alert box appears that shows .dmg file contains an app. The Google Earth’s .dmg file will automatically install on your PC. Drag the application and install it wherever you want. Generally, you can install it in the app folder on your hard drive. Next articleHow to download and install VLC?